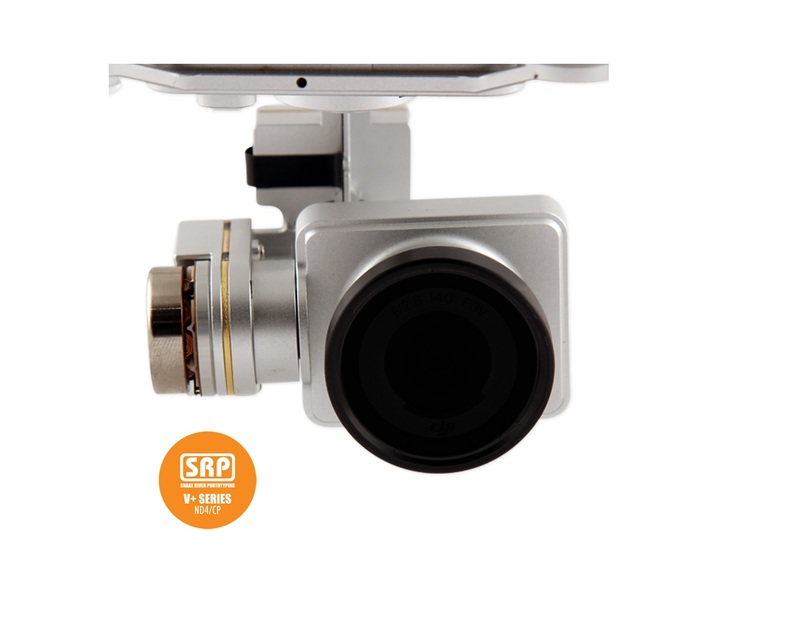 The V+ Series ND4/CP Filter combines a lightweight slip-over filter frame for the DJI Phantom 2 Vision+ camera with a professional grade two-in-one filter. 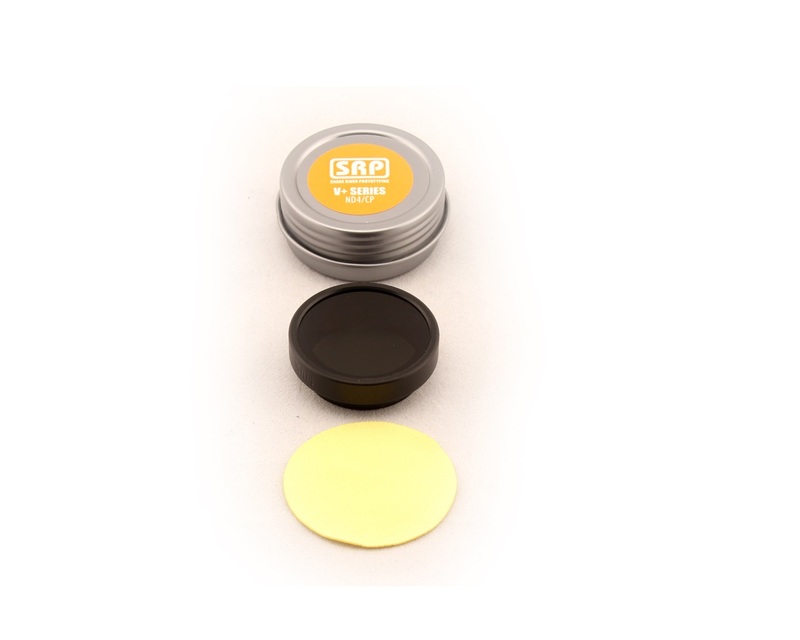 The ND4/CP is a combination circular polarizer and neutral density 4 (ND4 or ND0.6) filter. A CP filter is used to reduce glare on the surface of water or windows, manage reflections, and increase the contrast between clouds and sky. A neutral density filter is used to reduce the effects of rolling shutter including the jello effect and prop blur. Filter weight is only 7.2 g, or 0.25 oz!